Some of my symptoms have gotten much better. 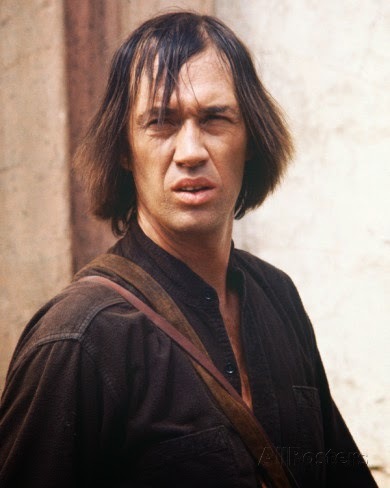 The extreme light sensitivity is almost gone, which is great, because I'm tired of looking like David Carradine in "Kung Fu." The fatigue has become much more intermittent and manageable. That's actually kind of a bummer; I was enjoying having a go-to reason to leave work a few hours early. On the other hand, the spells of exhaustion still occur just often enough to remind me how truly awful it is to have no energy. What won't go away is the itching. The persistent, maddening itching. Which is persistent. And maddening. No, adorable puppy, it's only cute when you do it. 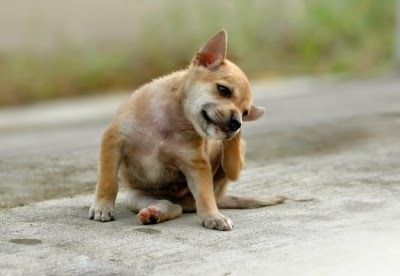 I spend approximately nine hours a day scratching. I arrived at that number by making it up, but it's probably not wrong. My shingles occurred on the left side of my head, so that's where the itching is: The left half of my scalp, the left side of my forehead, and above my left eye. I now understand why the Latin word for "left" is "sinister." The left hand is evil and, apparently, goofy. For the most part, it's simply an annoyance. When people see me scratching my head in public, they may think I have head lice or the dreaded cooties, but I don't care. Frankly, if it keeps people from approaching me, that's a benefit that somewhat offsets the irritation. And I'm not going to not scratch. The relief is too sweet. Also, I may end up being discovered by a casting director looking for the star of his new blockbuster dandruff shampoo commercial. LET ME HAVE MY DREAM, PEOPLE. The scalp itching isn't the worst, though. It's the itching around my eye that's getting to me. It's pretty bad. This morning I realized that I'm actually scratching my left eyebrow away. My eyebrows aren't exactly full and lush in the first place. But now I'm going brow-bald on the left side. 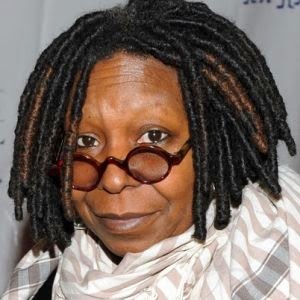 Sure, Whoopi can pull off this look. I'm no Whoopi. It's ridiculous. If it keeps up, I'm going to need an eyebrow toupee, or at least a tiny backwards baseball cap to cover my hairless ridge. Will it grow back when the itching finally goes away? Or have I permanently uprooted those tender hairs, never to return? 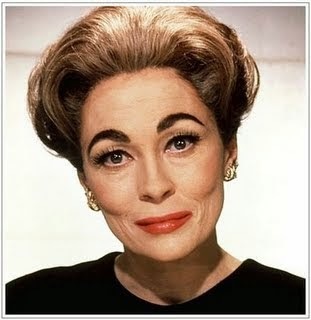 I wonder if Joan Crawford had shingles and lost an eyebrow? 'Twould explain a lot, although not the wire hangers. Anyway, if you see a wretched creature wandering the suburbs with a patch of red skin where an eyebrow once proudly arched, it's just me. Don't look away in disgust. Give me some sympathy. And maybe an eyebrow pencil. What would an eyebrow toupee be called? I know a toupee for the nether regions is called a "merkin". I know that for two reasons. One: I was briefly obsessed with the films of Stanley Kubrick and read more about "Dr. Strangelove" than anyone should. Two: I've read the comedian Robert Schimmel's book "Cancer On $5 A Day". (Original title: "I Licked The Big C." Original subtitle: "And I beat cancer!") While he was getting chemotherapy he was visited by a merkin salesman. So we're now left with two questions. One: What do you call an eyebrow toupee? Two: Why wasn't I visited by a merkin salesman when I was getting chemotherapy? I was just visited by volunteers offering me Little Debbie snack cakes and apple juice. I like those things, but a merkin salesman would have made a much funnier story. I don't have - nor have I ever had - shingles. But I feel your itch - to a small degree. I've got scalp psoriasis and I am CONSTANTLY scratching at my head. Luckily, I haven't begun to scratch random bald spots...yet. But now you have me worried.